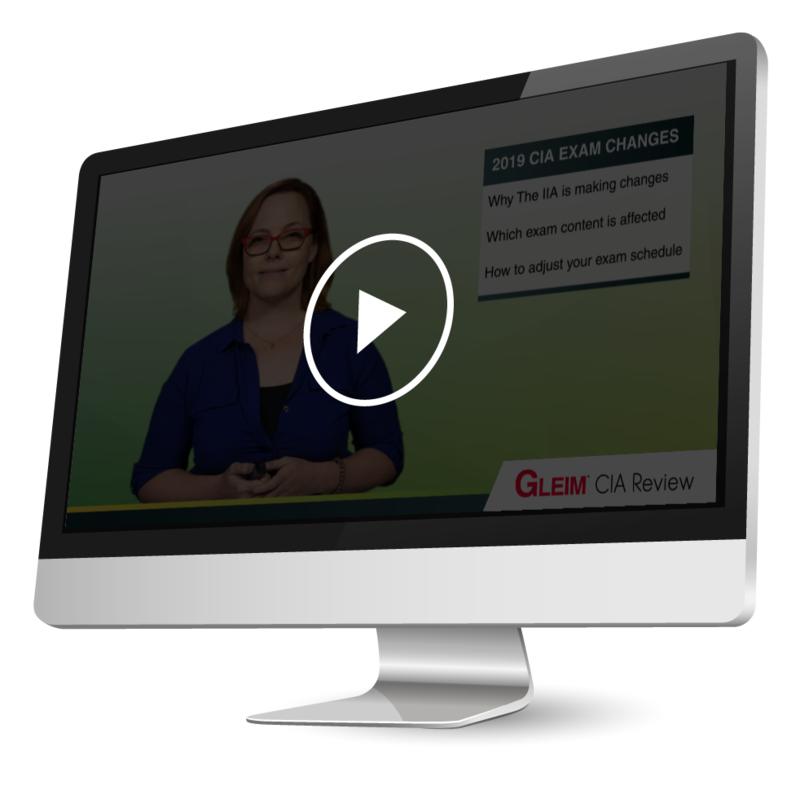 Watch this webinar to learn about the 2019 CIA exam changes, how each exam part is affected by the changes, and how you should adjust your CIA study plan. The CIA Exam is changing in 2019! The changes coming in January will affect the entire CIA exam. In this webinar, CIA Product Manager Melissa Leonard will tell you which parts of the exam are most affected by these changes and how you should adjust your exam plans and preparations. As the first CIA Review Course and the leader in CIA exam prep for 35+ years, Gleim has guided candidates through extensive changes like these many times. Watch this webinar now to begin your journey to becoming a CIA this year!